The MIT Council for Educational Technology (MITCET) and the Office of Digital Learning (ODL) are pleased to announce OfCourse as the grand prize winner and MIT Locate as the runner-up of the 2014 iCampus Student Prize competition. 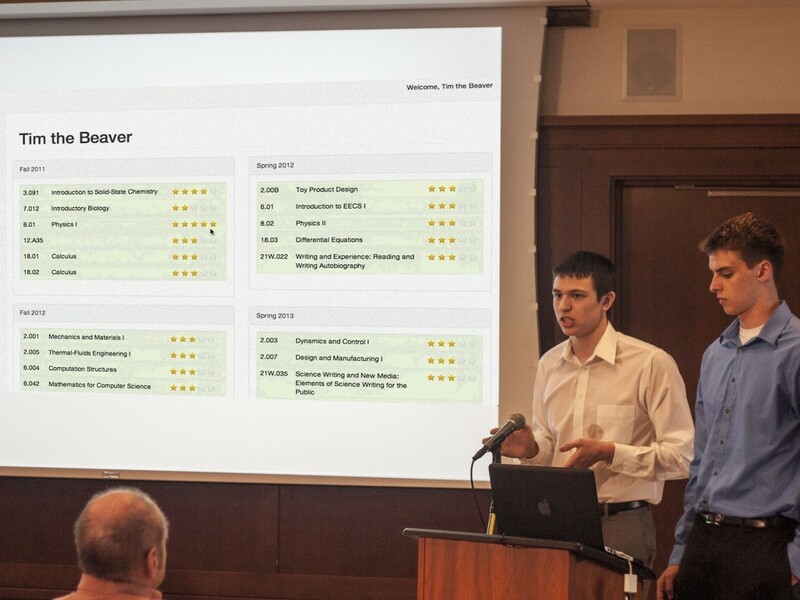 The two finalists in the 2014 iCampus Student Prize competition participated in a poster session and gave presentations to the judging panel on May 2, 2014. To allow students to create their course schedules, OfCourse allows for a quick copy-and-paste data entry, aggregates all the useful information from MIT sources, and makes recommendations based on course requirements and how much other students with a similar background enjoyed a class. The start of the school year is marked by the (mad) scramble of students figuring out what classes to take next. 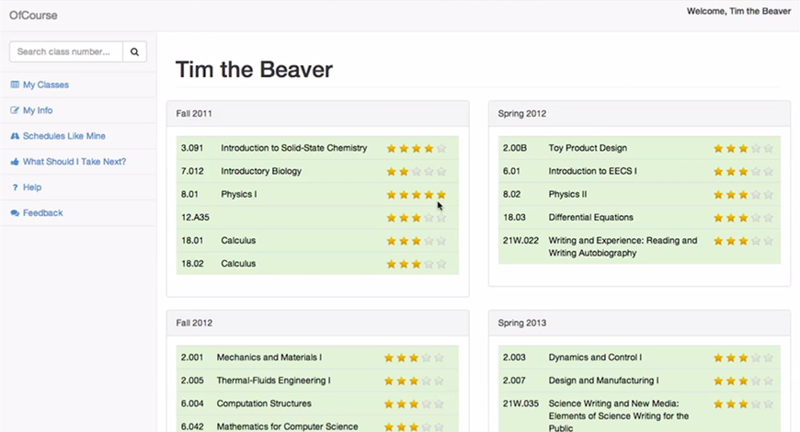 MIT’s Course Catalog and Evaluations are difficult to sort and filter for each student’s needs. Other tools help pick out only what is required, and takes too long to enter classes. Other options only help when students know the classes they will be taking. Daryl Neubieser, ’16, and Michael Everett, ’15 developed OfCourse to address these issues. OfCourse allows for a quick copy-and-paste data entry, aggregates all the useful information from MIT sources, and makes recommendations based on course requirements and how much other students with a similar background enjoyed the class. According to Dean Freeman, the head of freshman advisors, this would also help advisors make course recommendations. OfCourse was awarded $3,000 as the grand prize winner in the 2015 iCampus Student Prize competition. MIT Locate is a smartphone and web application that enables MIT students to locate each other on campus, as well as set alerts to notify them when a friend is nearby. Aidan Bevacqua, ’16, noticed that MIT students are always running 5 minutes late even when meeting up with friends. Every “Where are you?” text increases the tardiness. 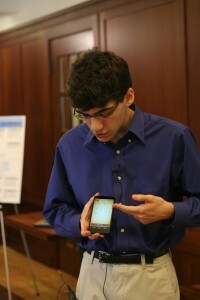 Aidan developed MIT Locate for the Web and Android mobile devices. MIT Locate uses Wi-Fi access point data to allow students to broadcast their detailed location to their friends. It can pinpoint the exact room they are in, making it more useful than other social location apps. 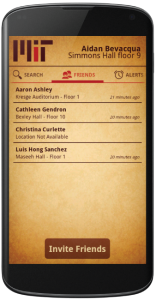 Users can set up alerts to notify when a friend is nearby or have arrived at a particular room or building. MIT Locate was awarded $1,500 as the runner up in the 2015 iCampus Student Prize competition. Participate in the 2014 iCampus Student Prize competition. as winners of the iCampus Prize! The 2014 competition will award up to $10,000 in total prizes. 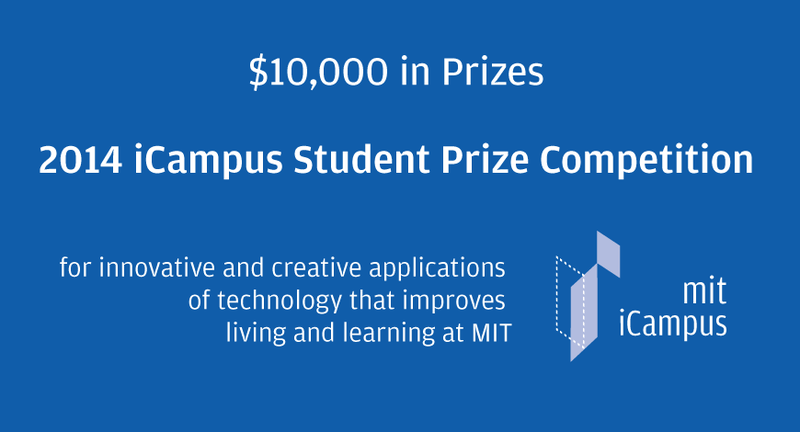 The iCampus Student Prize recognizes the innovative and creative application of technology that improves the educational and student life experiences at MIT.